The Sarplaninac is a livestock guardian that most often works with sheep, although it has also been used with goats and cattle. Livestock guardians do not herd their charges, but instead protect them. These dogs live with their flock and fend off predators that included bears and wolves. 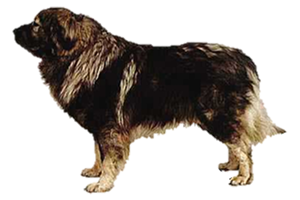 Originating from the Illyrian Mountains, the Sarplaninac has existed for centuries in what was Yugoslavia. Like other breeds, the breakup of this country caused name changes and reclassification, in this case the breed was recognized as Macedonian. It is believed their ancestors were early Greek molossers and Turkish livestock guardians. This breed is closely related to the Kraski Ovcar and thought to be the older of the two. Is the Sarplaninac Right for You?